The holidays are approaching, and you see everyone around you making gluten-containing pumpkin pies, cookies and stuffing. Somewhere between knowing you need to stick to your gluten-free diet and watching all that gluten-filled food preparation, part of you may be tempted to try just one bite of that delectable dessert or savory stuffing. Not giving into this impulse during the holidays is critical, but how do you stick to your gluten-free diet when the majority of food in the buffet is filled with gluten? Luckily, you have several strategies to resist gluten temptation this holiday season. According to the Celiac Disease Foundation, 1 in 100 people worldwide is living with celiac disease. Individuals who have a first-degree relative with celiac disease have a 10 percent chance of developing the disease. Remember, while you may feel alone in your gluten-free eating during the holiday season, millions of others are dealing with the same thing. If you need a little extra help this time of year, check out online support groups and other forums where those who can’t eat gluten share their own strategies for battling temptation. body won’t properly absorb the nutrients. According to board-certified physician Jane Anderson, many adults’ small intestines often don’t ever fully recover from the damage gluten causes. A 2010 Mayo Clinic study involving 241 adults revealed that two-thirds of adults’ intestinal villi recovered after five years. Those who cheat on their gluten-free diet will continue to have ongoing damage. 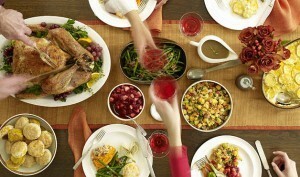 If Thanksgiving or Christmas dinner is at someone else’s house, make sure you go prepared. If you know they won’t have gluten-free offerings or if you are unsure how careful they will be with cross-contamination, it’s best to bring your own food. You can make a small dish of turkey and some homemade gluten-free stuffing. Knowing what will be served at the dinner allows you to customize your own meal so that it’s similar to what everyone else is eating. Just like with any diet, if you take steps to head off temptation before it strikes, you will be more successful. Guests often contribute dishes to a family dinner, so bring a dessert that everyone will enjoy. Consider bringing a crust-less pie, flourless cookies or gluten-free cupcakes. When you host a holiday dinner at your house, you are in control, eliminating any worry over cross-contamination. 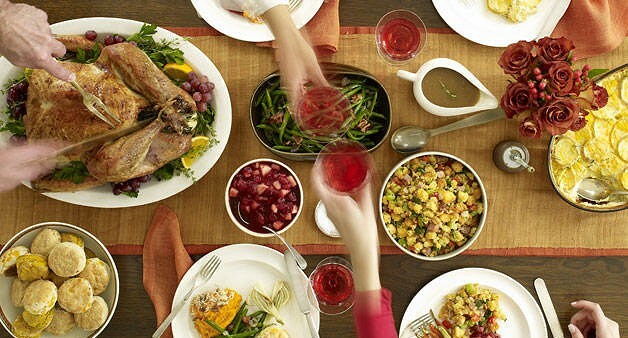 And even if your guests bring dishes to contribute to dinner, you will know which ones to avoid. Remember that you don’t have to completely overhaul every dish. Oftentimes people can’t even tell the difference between gluten-free and gluten-containing fare. For example, you only need to substitute regular breadcrumbs with the gluten-free variety when making stuffing. Preparing plenty of yummy gluten-free options will help quash any temptation that may have consumed you at a loved one’s home. You’re seeing all of these cookies, pies, cakes and other sweets—why not make them yourself? While the gluten-free diet seems restricting, you can make a gluten-free version of just about any recipe. With millions of Americans on the same diet, you have access to thousands of recipes to satisfy all guests’ dessert cravings while sticking safely to your diet.